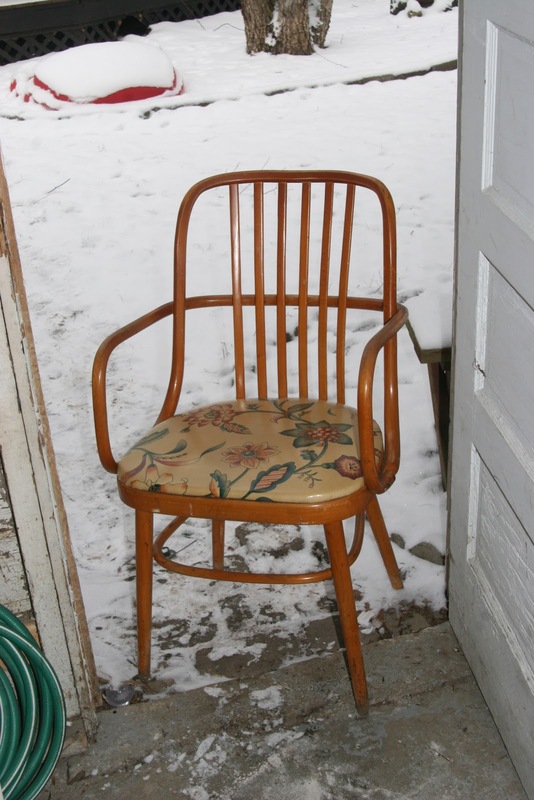 Found this chair for $5 the other day that I fell in love with! 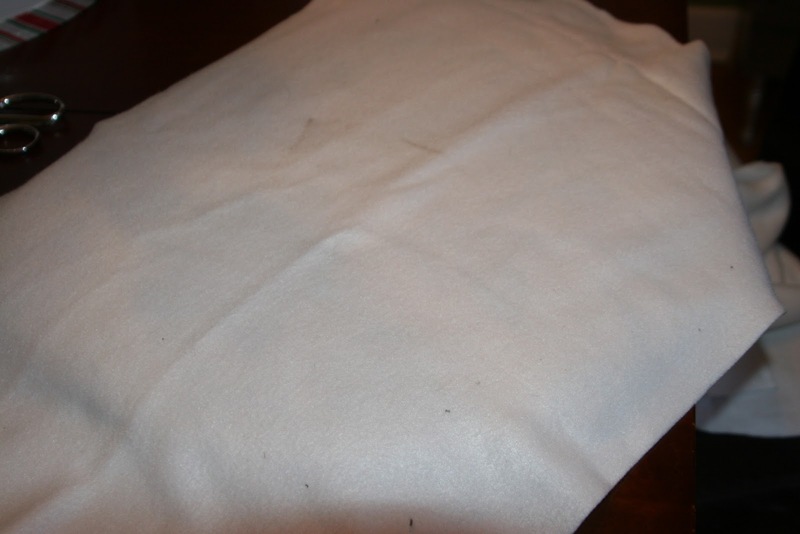 (Come on people, use your imagination!). 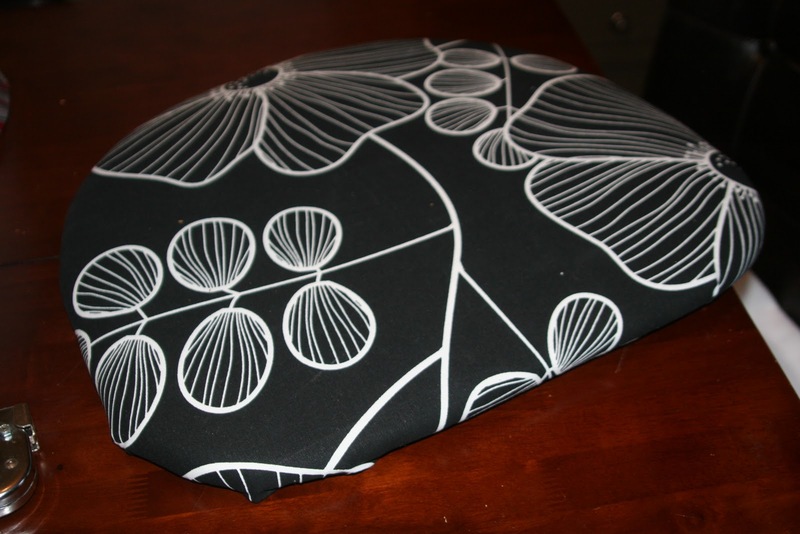 I unscrewed the seat part and just knew the current fabric needed to go…. 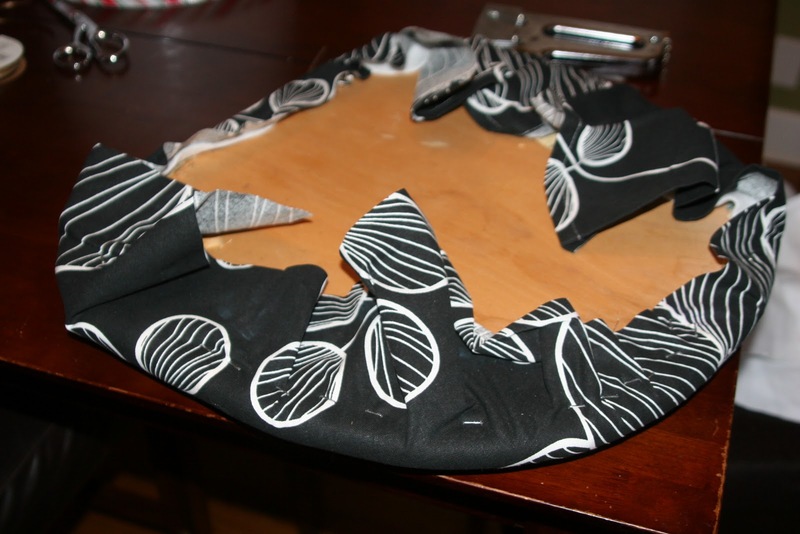 I covered some batting and fabric….and began stapling….. 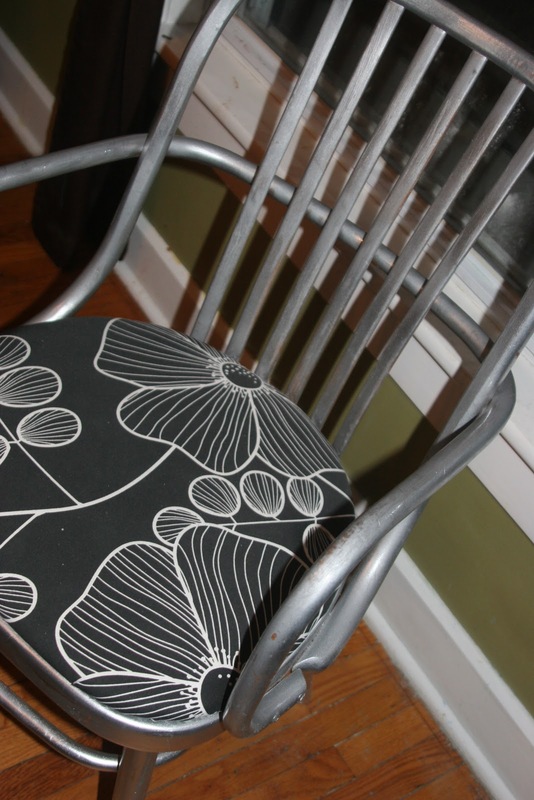 I then sanded down the chair, painted it with metallic paint…. 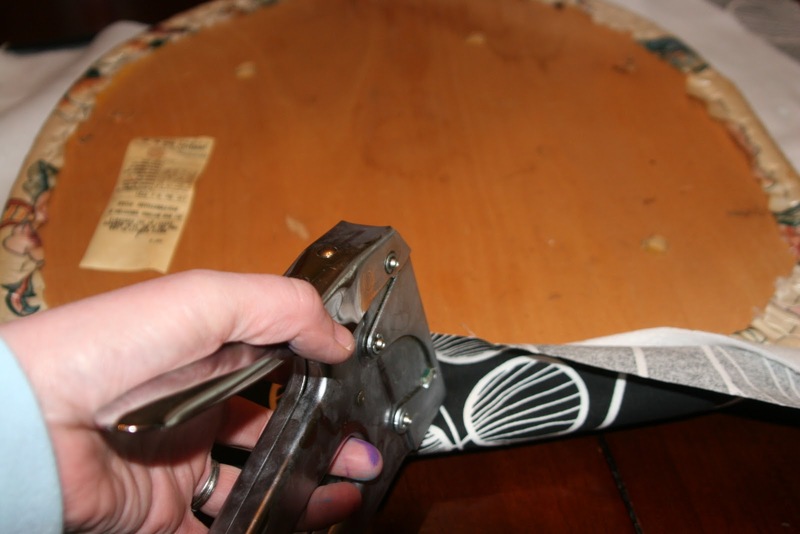 I reattached the seat with the chair base…..
Voila – perfect new computer chair! Easy peasy! 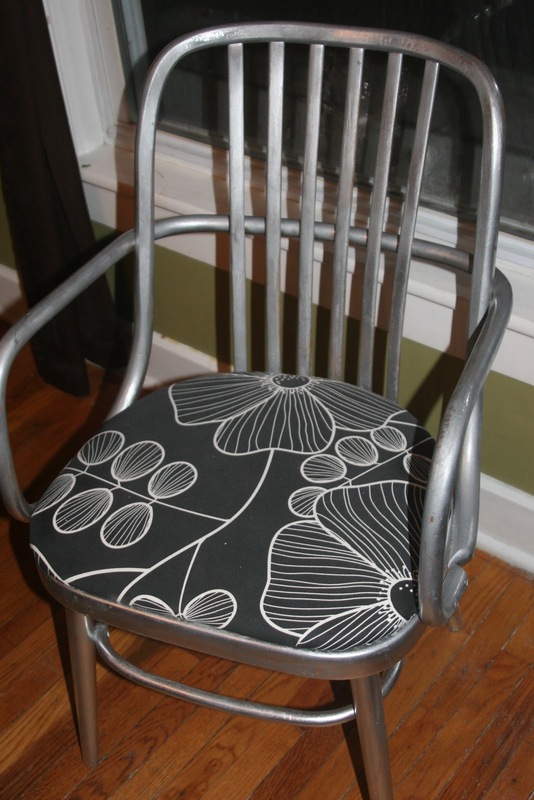 Previous postDining Room Chair Becomes a Funky Bench! Next postWhat a Baby Doll! Fab-u-lous! Want a chair JUST like this for my house! 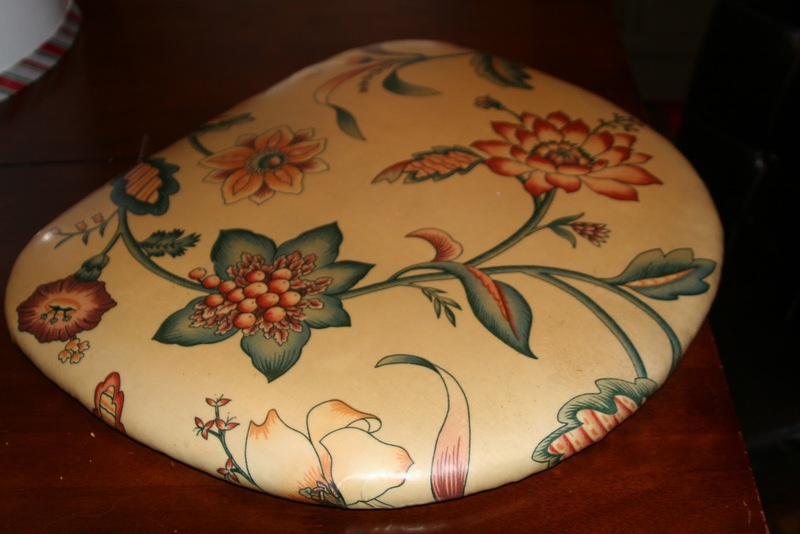 Thanks for the inspiration….now I need to go shopping at some resale shops! Nice project! 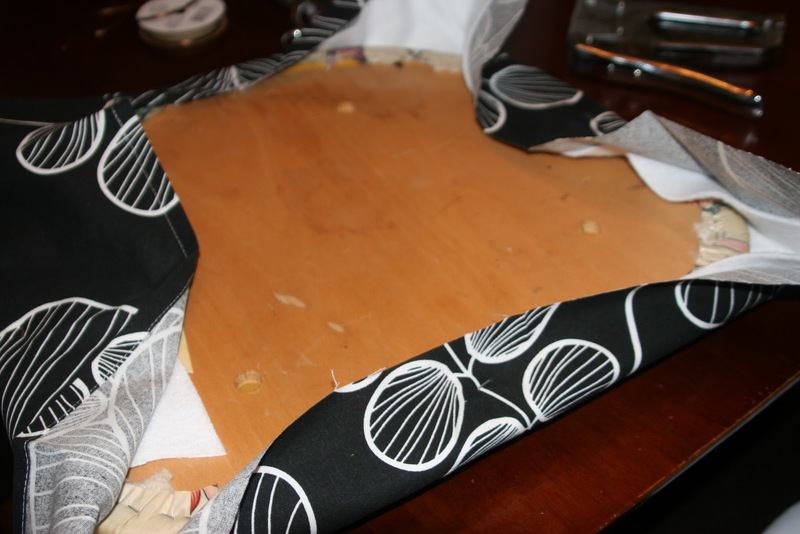 I’ve been meaning to redo my seat covers and I thought you had to strip the old fabric off first. Nice to see it’s actually easier than I thought!